Non displaced fracture courses through the radial head. 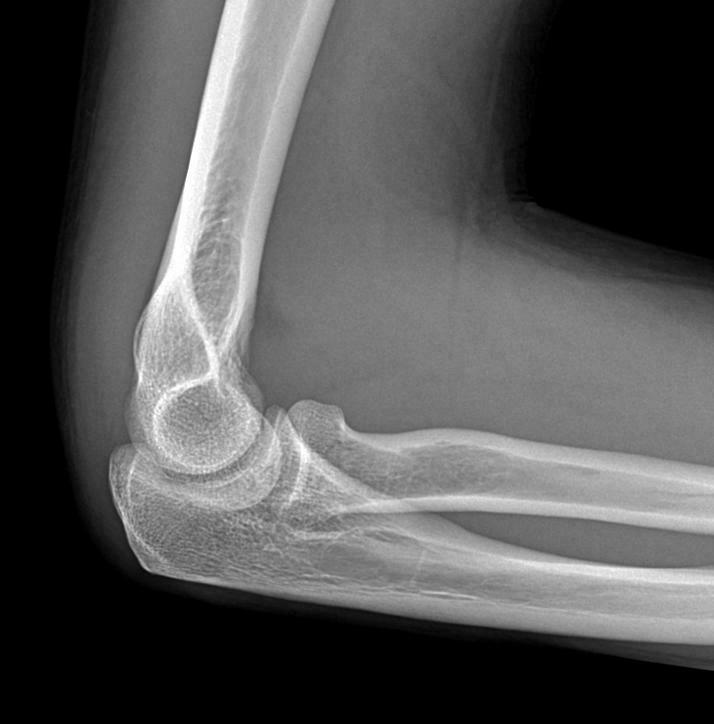 Posterior soft tissues of the elbow are prominent, but no definitive posterior fat pad sign is demonstrated. 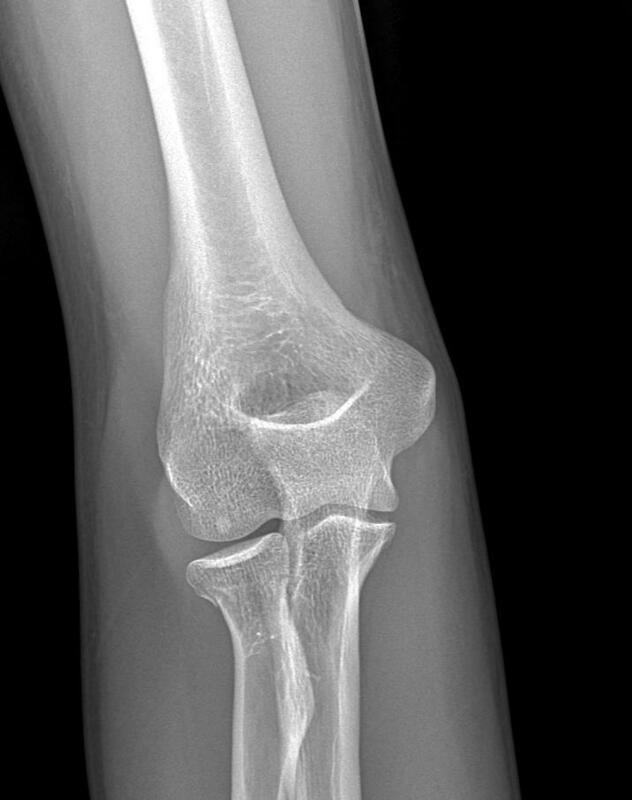 Note subtle fat fluid level at the anterior aspect of the elbow joint, which indicated presence of lipohemarthrosis.